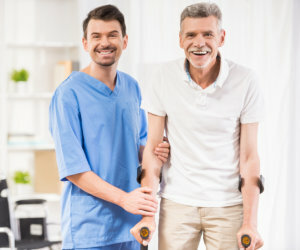 Occupational Therapy | Home Health Care in PA | Progressive Health, Inc.
With help from our occupational therapists, you will regain the ability to go about your routines at home and at work. When it comes to daily living activities, regaining the skills when you have had a significant body part of yours injured can pose a very big challenge, indeed. Progressive Health, Inc. Occupational Therapists will be there for you every step of the way, offering you insights on how to cope with your current limitations while doing their best to reorient you to the usual home and work setting. If you have questions to ask and comments to relay, please do not hesitate to let Progressive Health, Inc. know via its Contact Us online form. You can also give 610-789-1001 a dial.